Being a Light Wand Adventurer, Lucretia sets a high standard for ranged Light damage and Strength boosts. Between Crescendo Chorus and Strength-Energy Doublebuff, she’ll be raising her own power constantly with some benefits spilling over to the team. Empowering Triplet provides huge AoE damage. Unlike others with the Energy mechanic, Lucretia’s buffs come as a secondary effect to already powerful Skills, one of which boosts her own Strength. As the star of Dragalia’s Resplendent Refrain banner, Lucretia sets the gold standard for ranged Light DPS. Those familiar with Amane’s kit will quickly realize that the Songstress of the Century is superior by every metric. In addition to high damage, Lucretia introduces the Energy mechanic, taking on a secondary support role. Though the system as a whole has proven underwhelming, Lucretia sees success because Energy is merely a corollary of her Strength-boosting setlist. Lucretia maxes out at +30% Strength with both Energized: Strength and Crescendo Chorus active. These buffs combine with Broken Punisher, full energy upgrade, and enhanced Skill Damage to massively chunk health bars. Lucretia maintains maximum skill and dragon uptime, making her ideal for current and future Zodiark content. Though drawn-out iframes can be a boon at times, it’s generally not a good idea to be locked in place for extended periods of time. Like all ranged adventurers, Lucretia is more susceptible to damage than her melee allies. Where Amane had some measure of insurance by buffing HP, Lucretia enjoys no such luxury and must take care when positioning or using Empowering Triplet. If Lucretia finds herself at Energy Level 4, any extra Energy boosts do not roll over after resetting. 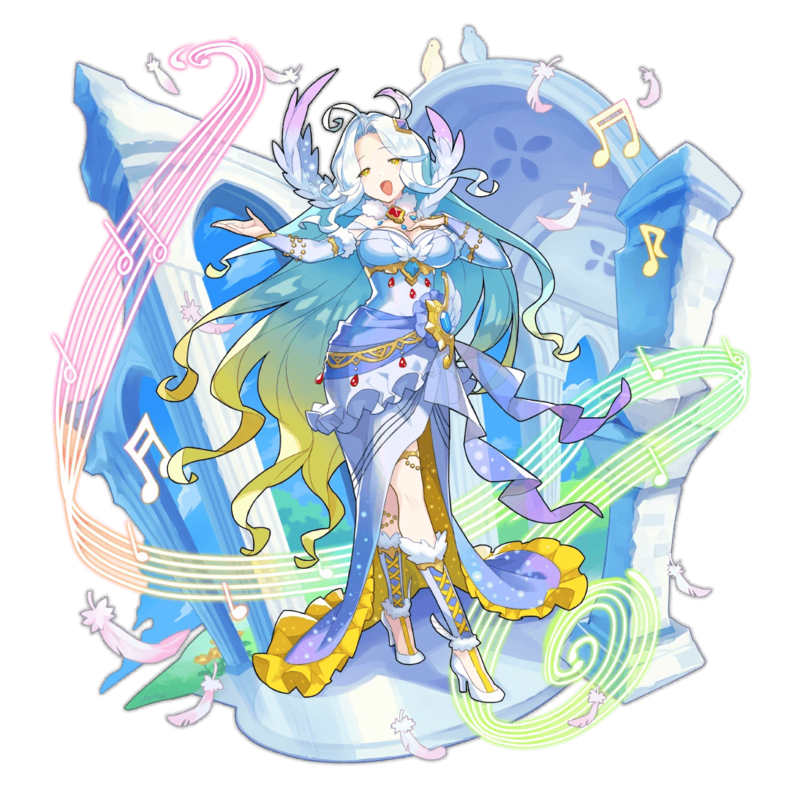 Therefore, Crescendo Chorus’s +2 Energy Levels must be “wasted” unless Lucretia receives support from Energy-compatible teammates. Cupid and Lindworm provide raw damage boosts cater to Lucretia’s offensive role. Liger and Halloween Silke increase survivability without sacrificing DPS. Hinata and Jupiter are workable budget picks. Deals light damage to enemies directly ahead, and increases the entire team's energy levels by one stage. When an adventurer's energy level reaches level five, they will become energized, and their next attack or recovery skill will be upgraded. Using any applicable skill resets that adventurer's energy level to zero. Increases the user's strength by 10% for 10 seconds, and increases their energy level by one stage. When an adventurer's energy level reaches level five, they will become energized, and their next attack or recovery skill will be upgraded. Using any applicable skill resets that adventurer's energy level to zero. Increases the user's strength by 10% for 10 seconds, and increases their energy level by two stages. When an adventurer's energy level reaches level five, they will become energized, and their next attack or recovery skill will be upgraded. Using any applicable skill resets that adventurer's energy level to zero. Increases damage to enemies in break state by 25%.